Apartments near UNCC rival that of much larger schools given the recent boom in construction. With 26,000 students located in Charlotte, North Carolina's largest city, UNCC offers both a great education as well as the city life. The majority of apartments close to campus are right on the east side of campus along Mallard Creek Church Rd. This includes the recently built student focused apartments where you have all the amenities you would dream of and services like roommate matching and individual leases (unfortunately usually a higher price). 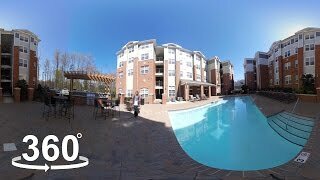 To the South of UNCC campus you can find some of the apartments which have multiple owners, here you can find better rent deals, but will not get as many amenities. Given the size of the Charlotte, you have apartment choices all around UNCC (see bus route to make life easier http://pats.uncc.edu/transportation-options).